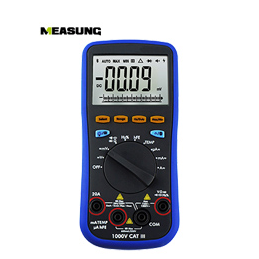 A lot of electrician are used to measure the stand or fall of motor with shake table in daily work, this is a kind of common and more safe test method undoubtedly.How to use a multimeter to measure the quality of the motor.In case there is no meter, also can measure the relevant situation, not to delay the process of work! Digital multimeter gear on the 200 Ω gear, two measure of three-phase motor power cord, if three times the measured resistance value is equal or very close to illustrate three-phase winding conduction is good. And put the motor terminal box open, remove the connection of copper on the terminal, disconnect the U, V, W three winding connection, the multimeter the biggest gear, gear on the resistance was measured with a multimeter pens and two U, V, W the arbitrary end of the three winding each other, if the resistance is infinite, explain and motor insulation is normal. Finally, the maximum resistance of the multimeter is used to measure the resistance values of U, V and W at either end and the shell. If the resistance values are infinite, it indicates that the motor insulation is ok and can be started by electrifying test. 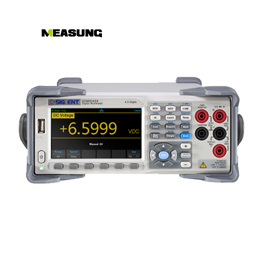 Measurement of single phase motor can put the digital multimeter gear on the 2 k file, first measurement of the primary winding resistance, generally in dozens to hundreds of Ω, depending on the motor power and there are differences. The resistance of the secondary winding is slightly higher or the same as that of the main winding.If the deputy winding resistance is normal, and then measure the insulation between the main winding, the multimeter gear on the resistance of the maximum gear, under the condition of the main winding and disconnect, with a pens and pick up on any one of the main winding terminal, the other pens and on either side of each winding grounding insulation resistance is very normal, the last and measuring the insulation resistance of the two windings and the shell a pens and winding, can a pens and pick up on the motor shell conduction, show infinite was normal.